Mildred Johnson's daughters say their cancer-stricken mother's fractured rib could have been prevented if she didn't have to take near-daily ambulance trips to the Victoria General Hospital for radiation treatment. Update:After this story was broadcast and published, Mildred Johnson was moved to the intensive care unit at the Victoria General site late Thursday afternoon. The daughter of a newly diagnosed cancer patient says she is frustrated with the fact her mother has to take frequent ambulance trips from Dartmouth to the Victoria General Hospital due to a lack of beds available in Halifax. Mildred Johnson, 63, was diagnosed with cancer and admitted to the Dartmouth General Hospital a week ago. Since then, she has been transported on a near-daily basis by ambulance to the Victoria General's Dickson centre for radiation treatments. In the last week, she has also suffered a fractured rib. Her daughter, Lovessa Johnson, blames the ambulance trips for the injury and the resulting pain her mother has suffered. ​"If she was over there, this fractured rib may not have happened," said Lovessa, the eldest of Mildred's three daughters, in an emotional interview on the sidewalk outside Dartmouth General on Wednesday. "It's drained so much energy and strength out of her that she needs to fight back against this disease," Lovessa said. Before she broke her rib, Mildred was having increasing difficulty breathing and a chest tube was required to drain fluid from her lung. Lovessa said her mother has been in so much pain after the rib injury, and her condition was so unstable that her radiation treatment was cancelled on Wednesday. She has been transferred to the intensive care unit at Dartmouth General. "That trip has put my mother in a very fragile state," Lovessa said. She has nothing but praise for the doctors and nurses at Dartmouth General, but said her mother needs to be in Halifax under the same roof as cancer specialists. The Nova Scotia Health Authority is unable to confirm patient details due to confidentiality. Lovessa said her mother should have been moved to a bed at the Victoria General last Friday after her first transfer there for an MRI test. She said doctors at Dartmouth General tried to make that arrangement because cancer treatments and follow-up tests were to be done in Halifax, but doctors told her no beds were available. Lovessa said she spoke to a worker in the patient relations office on Tuesday who again informed her that no beds were available at the Victoria General. But she was told her mother would be moved after two biopsies pinpointed her exact form of what is suspected to be a blood cancer. The first biopsy is scheduled for this Friday. She said that explanation makes no sense. "If they don't have a bed available now, how are they going make a bed available once the diagnosis is here?" Lovessa said. 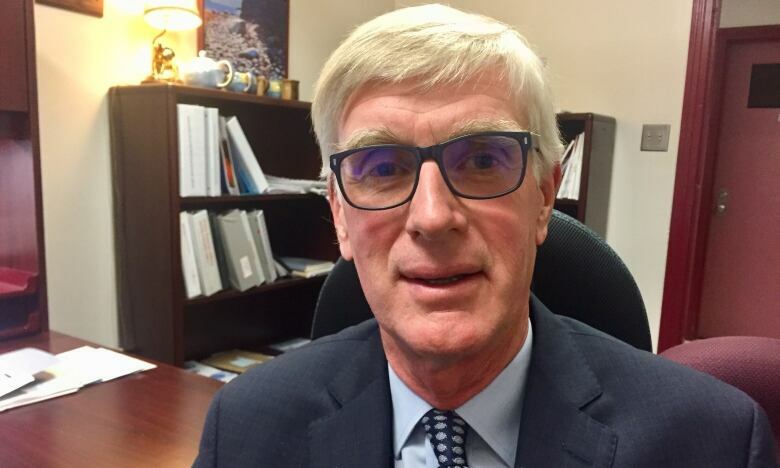 The medical director of Nova Scotia's cancer care program, Dr. Drew Bethune, could not comment on the specifics of Mildred Johnson's case. But he said there are five beds in the radiation oncology unit — and there is currently one available bed. Bethune said in the past there were an additional five beds for patients who had other health problems and for whom radiation was "not their major problem." He acknowledged that it is not ideal to shuttle cancer patients with other health problems back and forth from the Victoria General for treatment. However, Bethune said patients who do not have a "dominant, simple radiotherapy problem" are best cared for in a setting where there are various different experts, and where there is a lead responsible for their clinical care. He added caring for cancer patients with more complex needs is currently under review. "I believe that revising how we're looking at this patient group is very important for quality of care and safety of patients," he said. He said it's a very urgent concern, and that hearing from patients will inform the design of the new cancer centre that will eventually replace the Dickson Centre as part of the QEII redevelopment project. "We will be able to plan for all the services to be together on one site. It will make a big difference," Bethune said. With that new cancer centre still several years away from becoming reality, the Johnson family is frustrated with the support their mother has received in the past week. Lovessa Johnson said her mother needs to be moved to the Victoria General now — and is speaking out, in part, because there's no cancer patient navigator in the city to assist patients. They exist in rural zones of the Nova Scotia Health Authority. According to the NSHA website, cancer patient navigators guide patients and families through the cancer care system, provide support, and work with members of the health care team to coordinate tests and visits for cancer treatment. "There's no cancer patient navigator here, she's had no one come from social work to talk to her about her diagnosis. We've had no support whatsoever," said Lovessa. Bethune said the work of cancer patient navigators is being done in the city by others within the health care system. Lovessa Johnson said she'll keep fighting to have her mother moved to the Victoria General so she won't have to suffer the shuttling back and forth to see cancer specialists. She hopes that will boost her mom's battle with cancer. "Her prognosis likely isn't good, but miracles happen every day," she said. "She's been through a lot in life and deserves a chance."